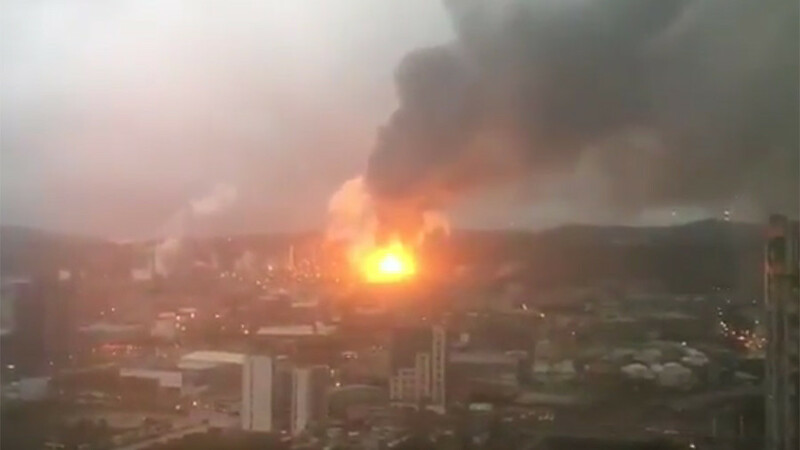 A huge inferno raged in Taoyuan City in northwestern Taiwan following an oil refinery blast. The explosion rattled nearby buildings and terrified residents, according to local media. 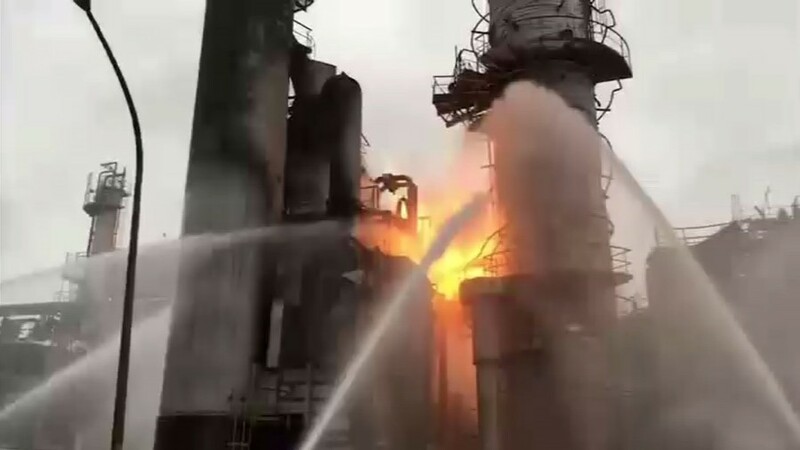 The blast occurred at the oil refinery in Taoyuan, which belongs to a Taiwan petrochemical company, at 6:42am local time on Monday, according to the state-run Xinhua news agency. Although the site is located in a densely populated area with hundreds of thousands of inhabitants, there were no reported casualties. 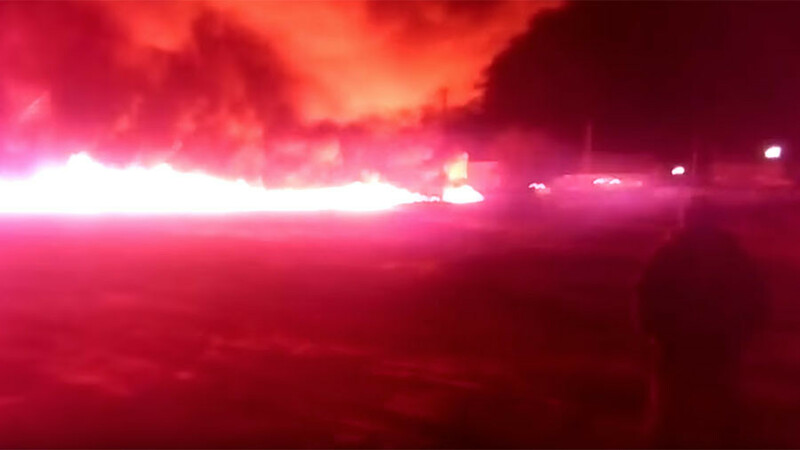 Locals heard a series of huge explosions that lasted for up to 10 minutes, with some comparing the sound to a “massive gun firing off for a long time,” Taiwan News reports. Others said the blast was like an earthquake, according to Xinhua. 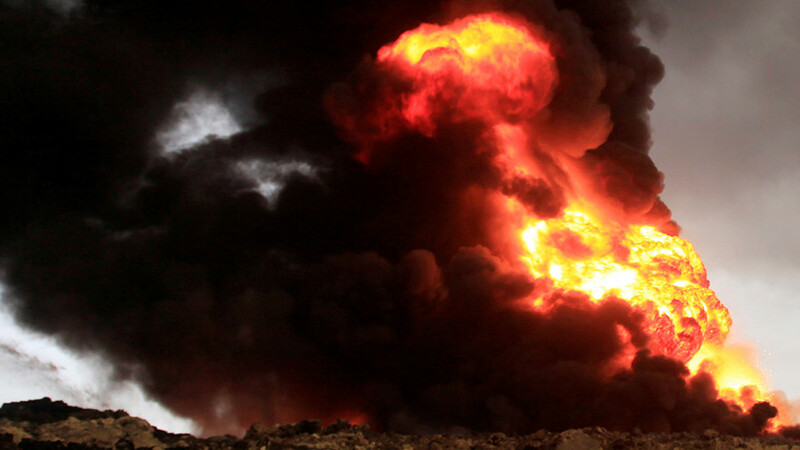 More than 40 firefighters were sent to tackle the blaze, which reportedly affected an area covering 50 square meters. 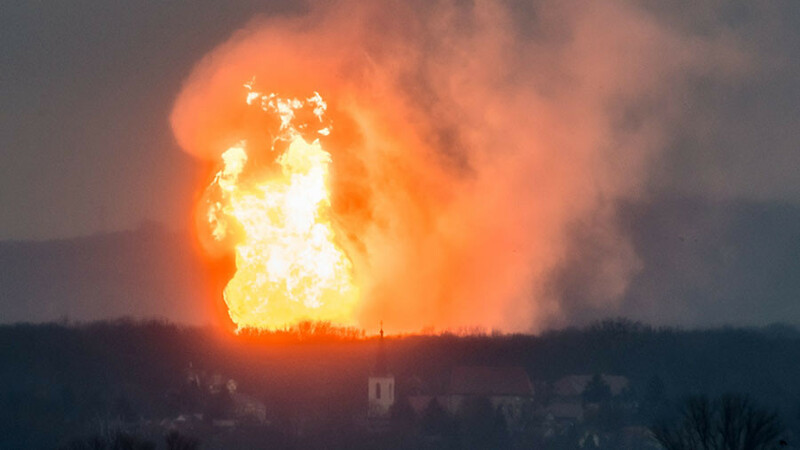 An initial investigation suggests a heating furnace tube ruptured and caused the explosion, despite the refinery having recently undergone annual maintenance. 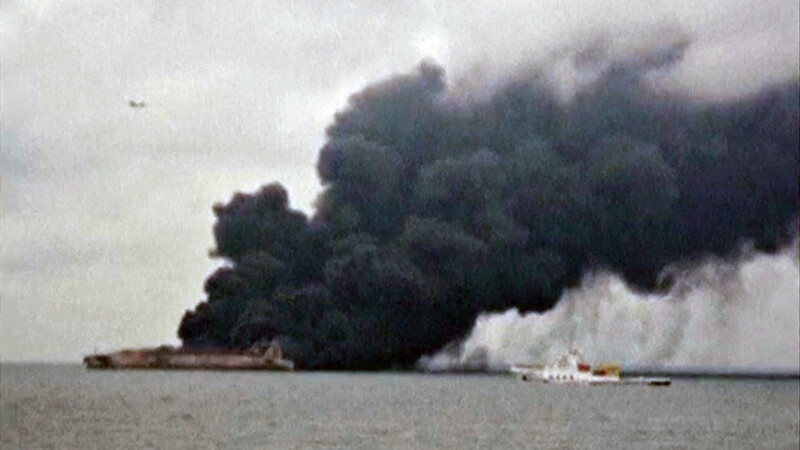 The incident triggered protests among local residents, who demanded the relocation of the refinery. A number of accidents, including two serious explosions, have occurred at the facility since it opened in the 1970s.